No worries! This multi-part guide will aid you in getting the most out of attending one of the best technical conferences on the planet. I'm going to share how to get through the whole event in good shape and cover some incredible beginner friendly events. First off, register already! PyCon US sold out last year around this time. Don't be left out in the cold. Buy your ticket now before it's too late! Take at least one shower. Please. Get at least three hours of sleep. More if possible because your brain is going to go into learning overdrive. In addition, PyCon US also has a code of conduct. I like to sum it up as, "Act professionally." Whether or not you agree with codes of conduct for conferences, PyCon US has one and it will be enforced. Alright, enough basics, let's get onto tutorials! Tutorials take place on March 13th and 14th. They each cost $150 but are well worth the price. The following are the talks I believe are best suited for beginners. For novice programmers start with Jessica McKellar's A hands-on introduction to Python for beginning programmers. I can vouch that the instructor is amazing, and will jumpstart you on the road to being a Python developer. Are you an experienced developer new to Python? I suggest Going from web pages to web apps with Python by Asheesh Loroia and Karen Rustad. In 2009 I took a class by Asheesh and was impressed by his energy, enthusiasm, and depth of knowledge. Want to learn Python web that isn't Django? Try out Paul Everitt's Pyramid for Humans class. You simply can't go wrong with David Beazley's Learn Python Through Public Data Hacking. He's the author of Python Essential Reference, an amazing instructor, and delivered a PyCon keynote last year. If you're interested in the web, check out Nathan Yergler's Effective Django. I can assure you that he knows his Django material and is going to deliver a great experience. 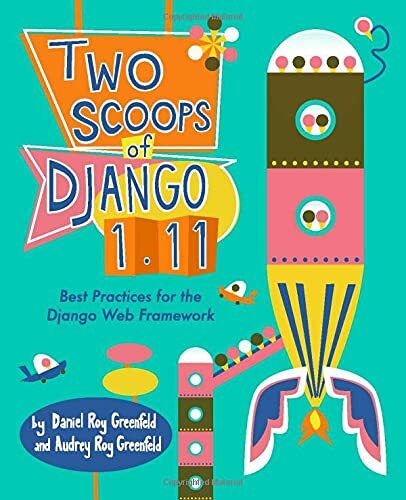 Getting back to the web, Fully Test-Driven Web Development with Django and Selenium is another run through the Django tutorial, but done from the test driven perspective. A fascinating tutorial offered at this time is A Gentle Introduction to Computer Vision. It's a great way to learn how Python is used in many creative and unexpected ways. Jessica McKellar returns to instruct on how to give back to the community with Contribute with me! Getting started with open source development. Want to learn how to program games? Look no further than Richard Jones' Introduction to PyGame. He's taught this class for years, and I can't say enough good things about him. This talk is not meant for beginning Django developers, but it's useful anyway. Kenneth Love and Jacob Kaplan-Moss are presenting Wiring Up Django Packages. Check out Beginner's Guide to PyCon 2013 Part II where I cover the first day of talks best suited for new Python developers!